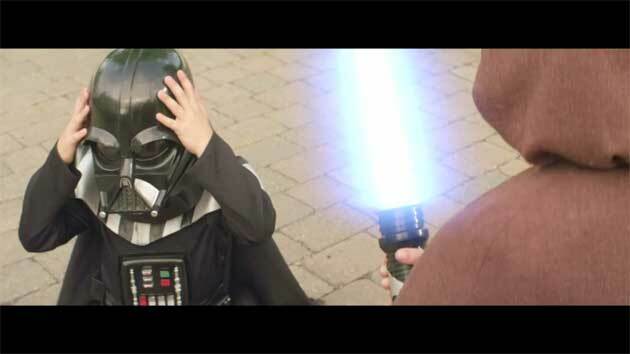 Greenpeace has launched a parody of the Volkswagen Little Vader Super Bowl commercial. 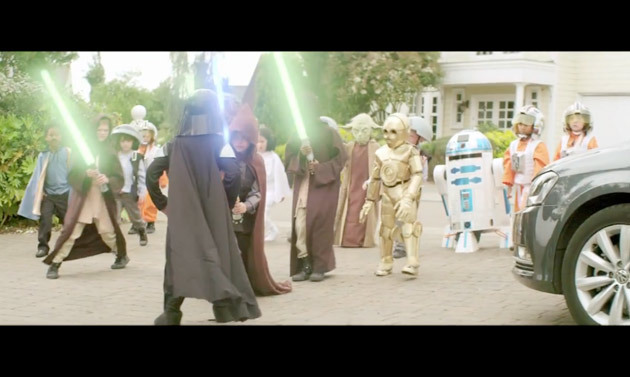 This time, the pint-sized Sith squares off against various heroes of the Rebel Alliance, including kid-form versions of Chewbacca, C-3PO, R2-D2, Princess Leia and a Jedi Knight. There's even a tiny Lando Calrissian. Why the neighborhood throw down? According to Greenpeace, Volkswagen is opposing European legislation that would impose further limits on the amount of C02 that new vehicles are allowed to emit. The video then draws an easy parallel between VW and the Evil Empire, complete with a looming VW-badged Death Star. If you want to watch Episode II, you'll need to sign up on the Greenpeace website. The organization will e-mail the head honchos at Volkswagen on your behalf to decry their actions, so make sure you mean it. As of the time of writing, around 21,441 "rebels" have joined the cause to watch the second video. Hit the jump to check out Episode I for yourself, and head over to the Greenpeace site for more information. got to hand it to Greenpeace they just pooned VW bad! BAHAHAHA awesome. I'm going to post this on SoCalEuro's forum! In film, if you're going to parody a famous series, you've got to pay the piper. That's doubly true when it comes to the fiercely defended Star Wars lineage. Judging by the fact that Lucasfilm has registered a copyright complaint against Greenpeace for the company's take on the Volkswagen "Little Vader" ad, we'd say old George Lucas was none too happy to see light saber-wielding youngins protesting VW's stance on European emissions. Regardless, Episode II of the Greenpeace saga has made its way to the interwebs for us all to enjoy. True to form, the rebel cause emerges victorious, though there's no bloodshed, explosions or battles to be seen. There is a pretty rocking dance party, though. Hit the jump to check out Episode II for yourself before the long arm of Lucasfilm lawyers catches wind of the video and has it axed.